Halloween is less than two weeks away, and although we've already carved a couple of pumpkins (I can't get enough of the seeds, man; here is my all-time favorite pumpkin seed recipe), I've been thinking about carving another (or five) as the holiday gets closer. I genuinely love plain, old school carved pumpkins with uneven triangle eyes and jagged toothless smiles because they remind me of celebrating Halloween as a child. But I'm also a fan of more creative ideas for pumpkin carving, and that's where today's 10 Great comes in. 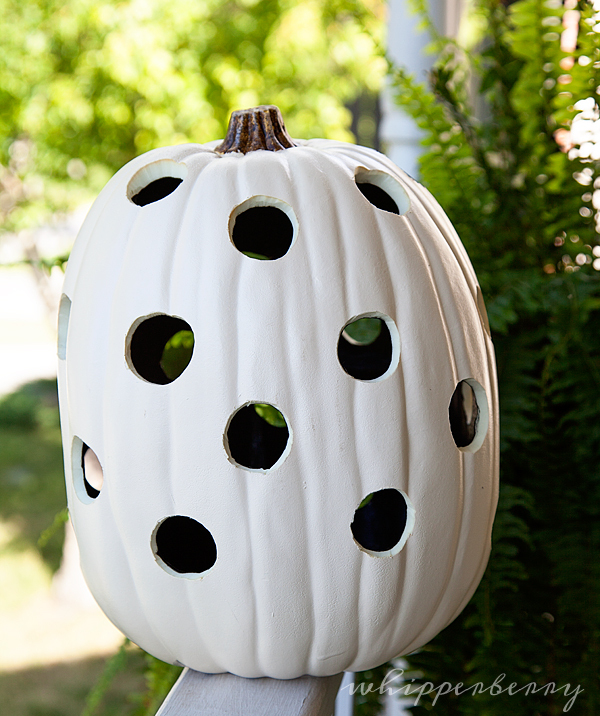 While searching for inspiration for unique jack o' lantern ideas, I came across the projects you see above. They range from beautiful to fun, intricate to simple. I'd love to do something similar to both #1 and #3 over the next couple of weeks. 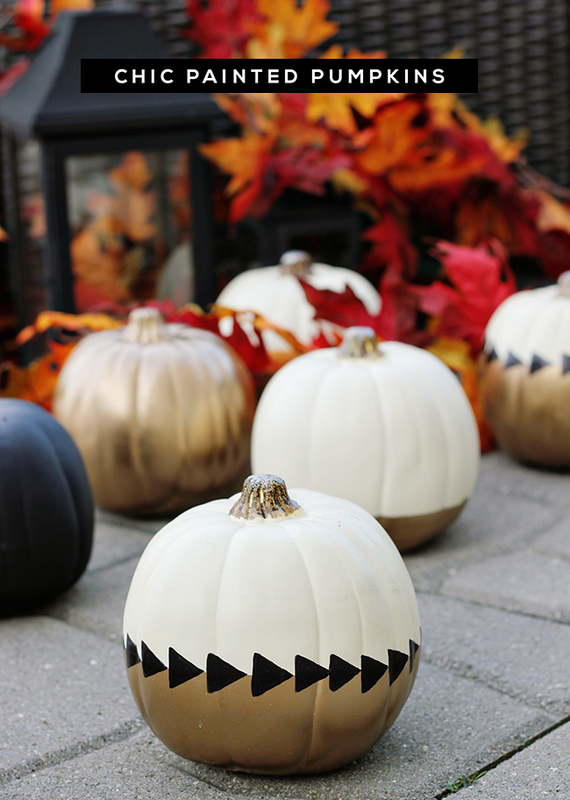 And if you're looking for another creative way to decorate your pumpkins this year (one that doesn't involve having to use a sharp object), click here or on the image above to see the DIY painted pumpkin project we did last year. Roasted pumpkins seeds are, without a doubt, my favourite autumn snack and, admittedly, the only reason I bother to carve a pumpkin each year...! I have good intentions about doing a decorative one this year, but it hasn't happened so far, despite all of the gorgeous inspirations I've seen. All of these are so cool but I think I like your painted project the most! Weekend project here I come! What fun! I love the hole patterns in #6 and your fun painted designs! Oh I love these! I especially love the idea of painting a gourd rather than hacking it up. I got a few add ons this year: will turn one pumpkin into a Hello Kitty and the other into Darth Vader. Thank you Target! How cool are these love #3 and #6, thanks for sharing!!! I'm enjoying the Halloween bonanza you've been sharing lately. :-) We put a couple of pumpkins on the porch, unadorned because I'm lazy, and squirrels have been eating little bits out of them. SIGH.